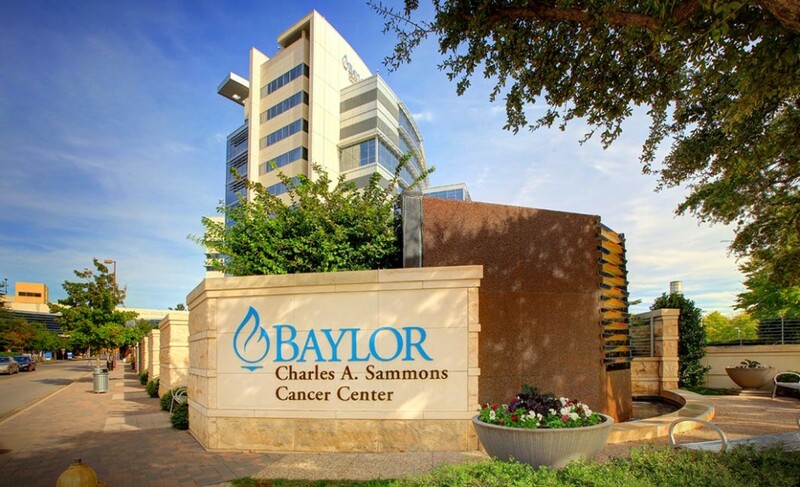 This project included the design of Baylor’s new Cancer Center on their Downtown Campus. 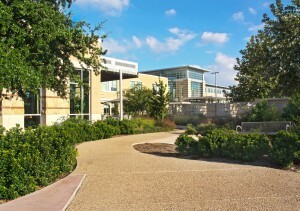 The site, selected for this high profile cancer facility, is located at the southeast corner of Hall and Worth Streets, across from the Sammons Cancer Center and overlooking Tom Landry Fitness Park. 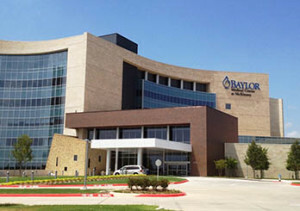 The artful organization of the site plan, based on a central circular arrival space for the Hospital, is anchored on the south side by the dramatic, curved ten- story Cancer Center façade. 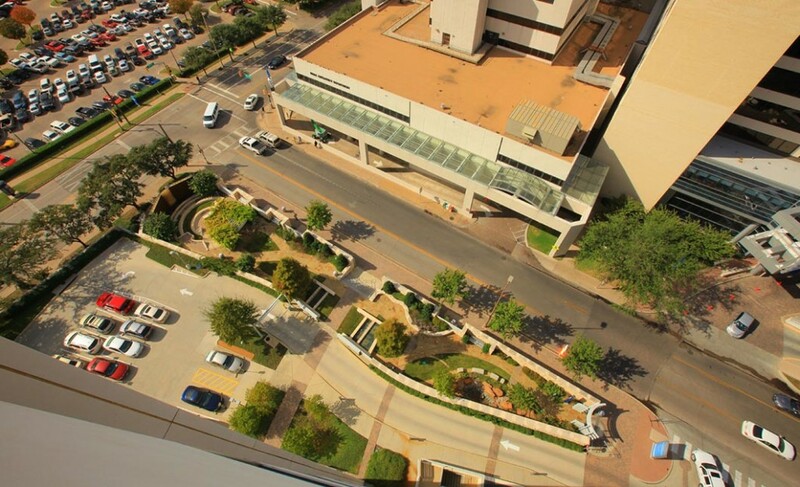 Located across Worth Street is the restored Sammons Cancer Center with a curved canopy entrance. 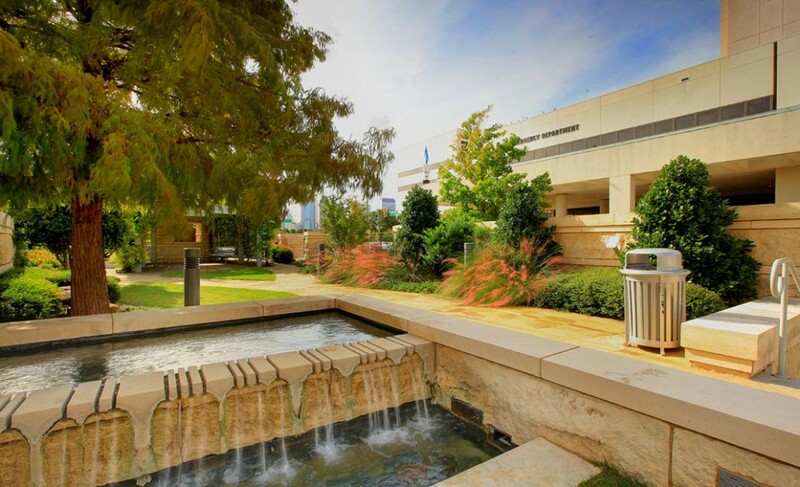 At the Cancer Center entry is a circular fountain and pedestrian sitting area flanked by two large Live Oak trees. 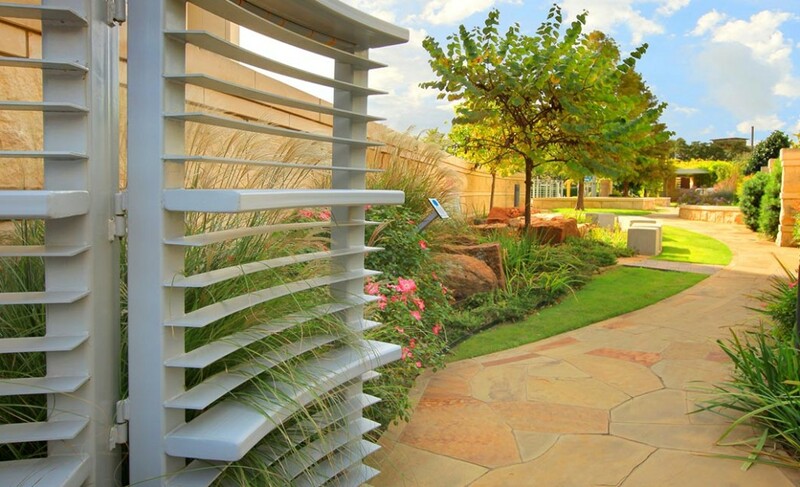 The Healing Garden is a quiet, passive space and a destination spot for patients, families, and friends who seek restful, healing spaces when experiencing stressful times in their lives. The Garden’s paving pattern resembles abstract forms and soft patterns of native North Texas prairie grasses which are used to visually tie the Garden’s features. Inscribed on the grass blades of the paving are thoughtful inscriptions and quotations about health and wellness. A vine covered pergola, small amphitheater, and nitches provide a variety of seating options for patients and their families.